Are you an inlay jewelry collector and lover? If so, this necklace set will complete your collection! Perfect for the special woman in your life. Whether it may be a gift for an anniversary, birthday, or a general special occasion, sweep her off her feet with this necklace and earring combo. Featuring a rich color combination of spiny oyster shell, malachite, lapis, Mother of Pearl and a host of others, she will surely love this set for years and years to come! 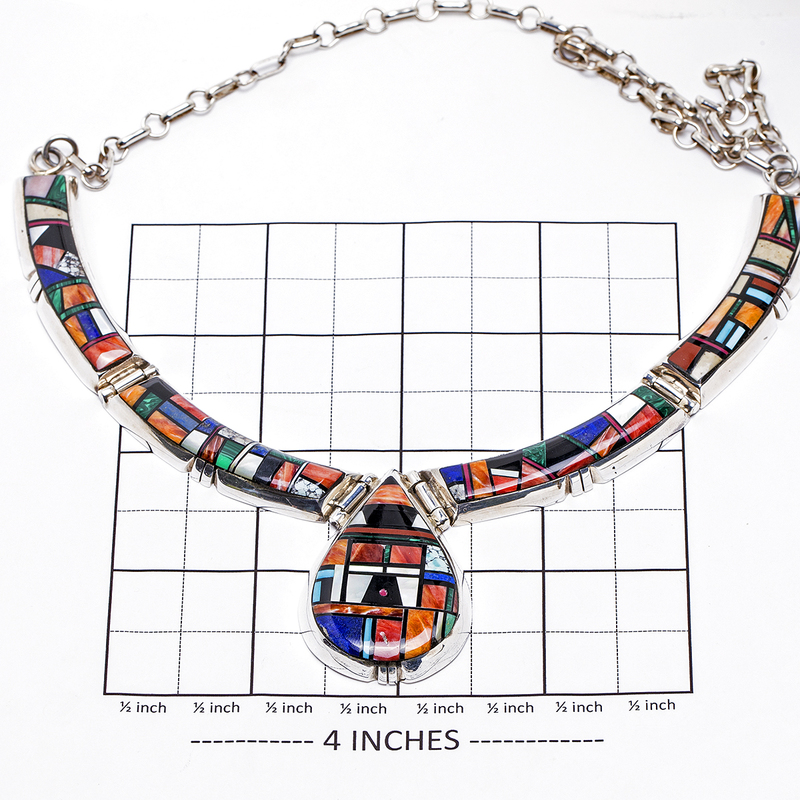 The necklace measures 22″ in length, with a 1 3/4″ drop at the center, and weighs 90.6 grams. 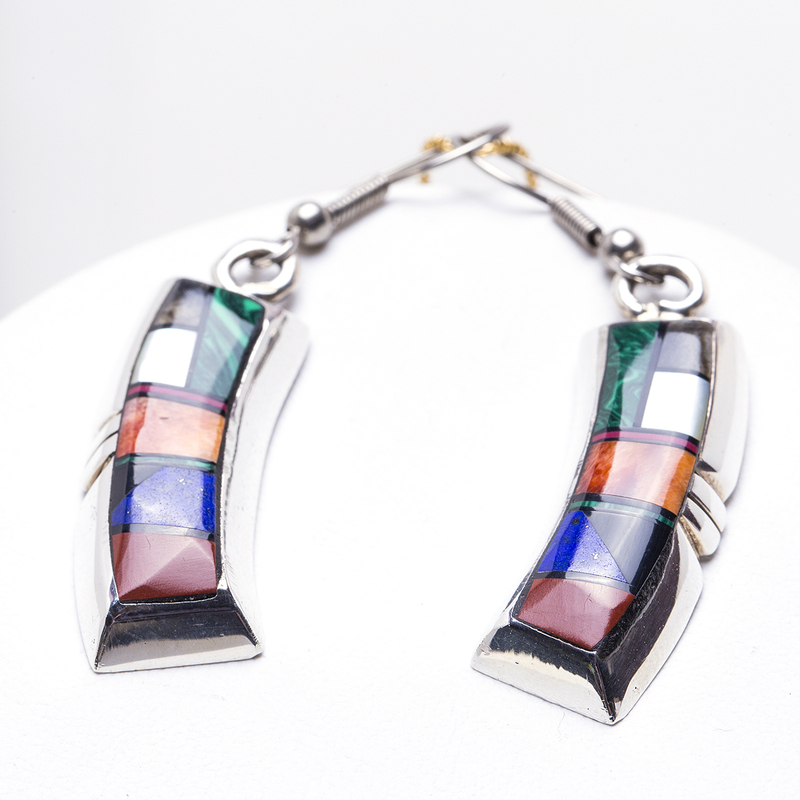 The earrings measure 2 3/8″ in height including the sterling French hook wires, 1/2″ in width, and weigh 18.9 grams. 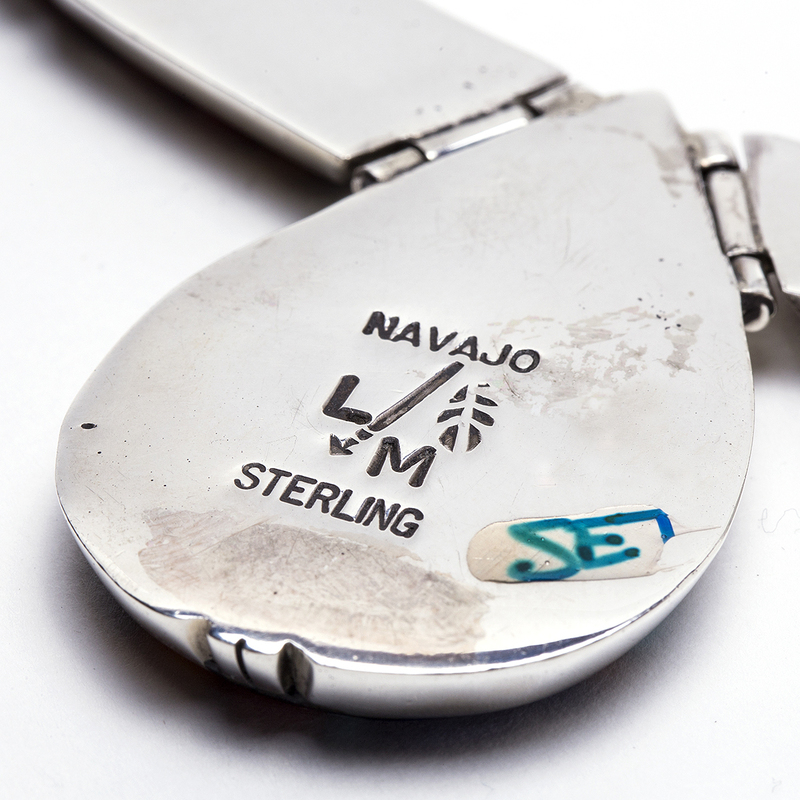 This necklace set is hallmarked “Navajo LM Sterling”. 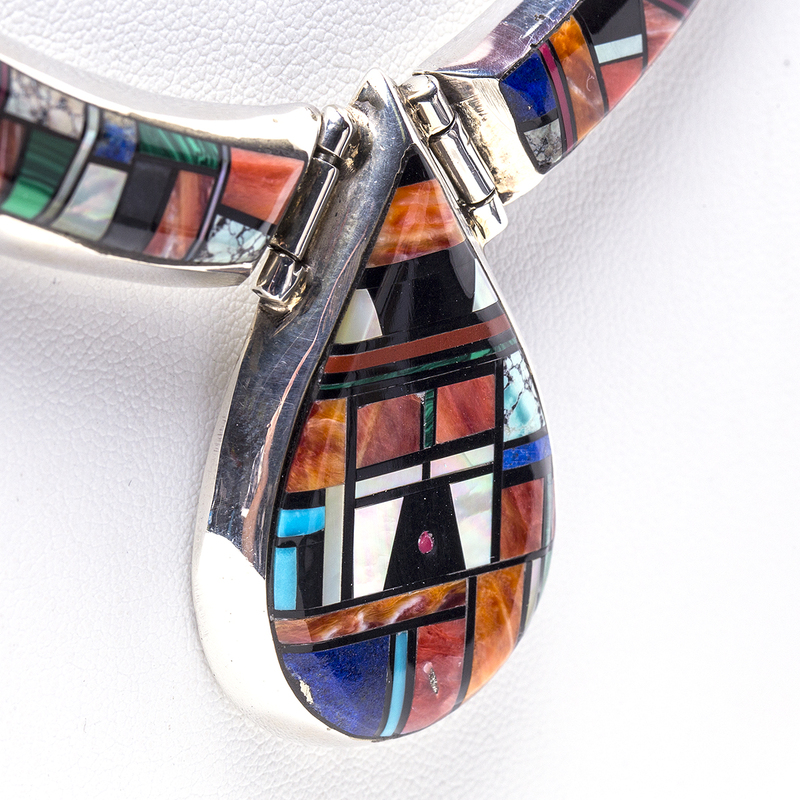 Delicately handcrafted with inlaid stones and sterling silver by proficient Navajo artist and Silversmith, LM. We also offer free gift wrapping with each purchase. 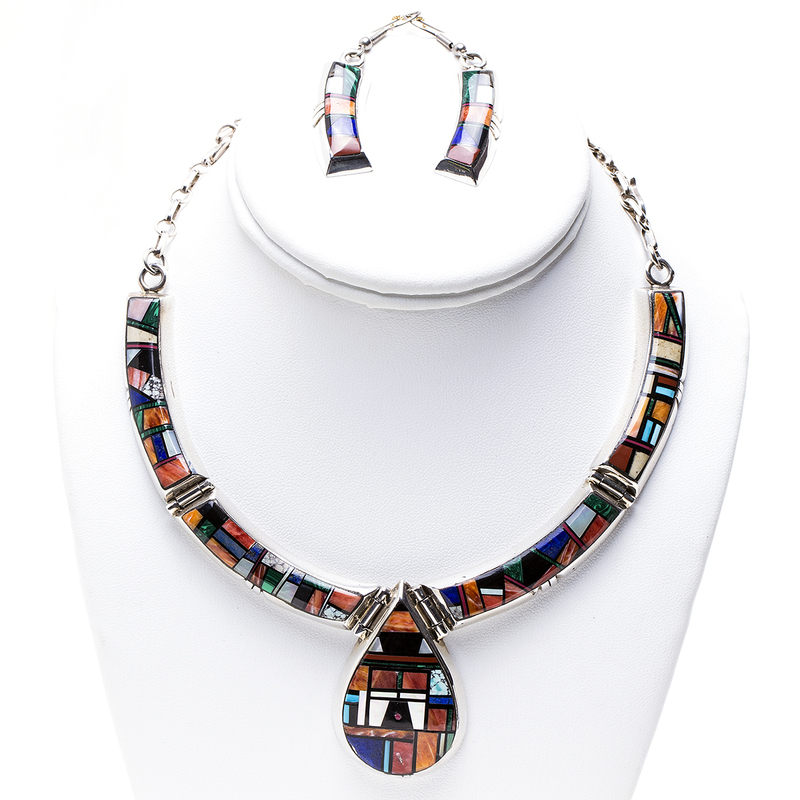 Navajo LM Inlay Necklace Set crafted in sterling silver with beautiful multi-colored stones and the face of the sun. Handcrafted by Navajo silversmith LM.